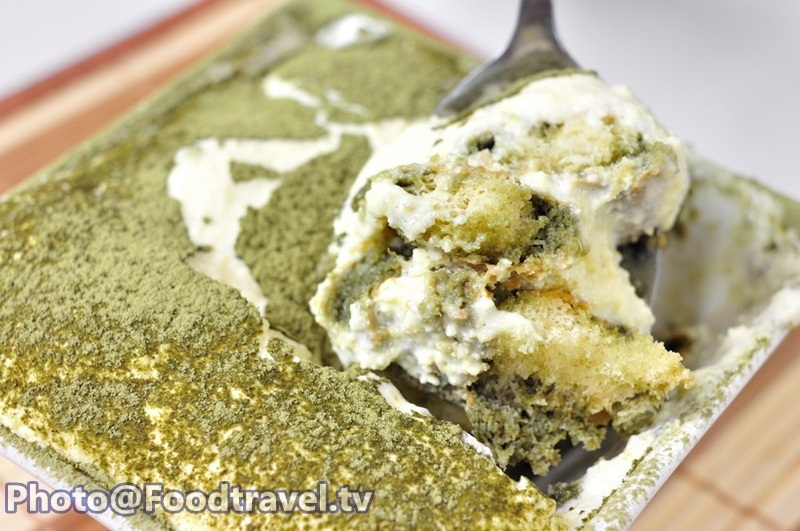 Green Tea Tiramisu - Japanese Green Tea Tiramisu This Japanese dessert is special with soft and smooth Biscuit Sponge. A mixture of Mascarpone Cheese make Tiramisu become a unique dessert and different from others. You can change to the flavor that you like, whether it is green tea, Milo, coffee, mocha, chocolate and many more. 1. Separate yolks and whites. 2. Beat egg yolks in a mixing bowl by whisk. 3. Add 1/2 of the sugar and mix to combine. 4. Add Mascarpone cheese room temperature, butter room temperature and beat together until cream, but not until fluffy. Set aside. 6. Beat white egg whites and sugar until fluffy by the whisk. 7. Mix whipped cream and white egg in the first ingredients. Use a spatula, gently combine and set aside. 8. Mix green tea and hot water together. 9. Dip lady finger in green tea make it quickly. Otherwise, it will be moist and soft and nice. 10. Arrange all ingredients in layer. By placing 1st layer with ady finger at the bottom of container until full. Add cream in the 2nd layer, lady finger in the 3rd layer, and cream in the 4th layer. Spread them thoroughly. 11. 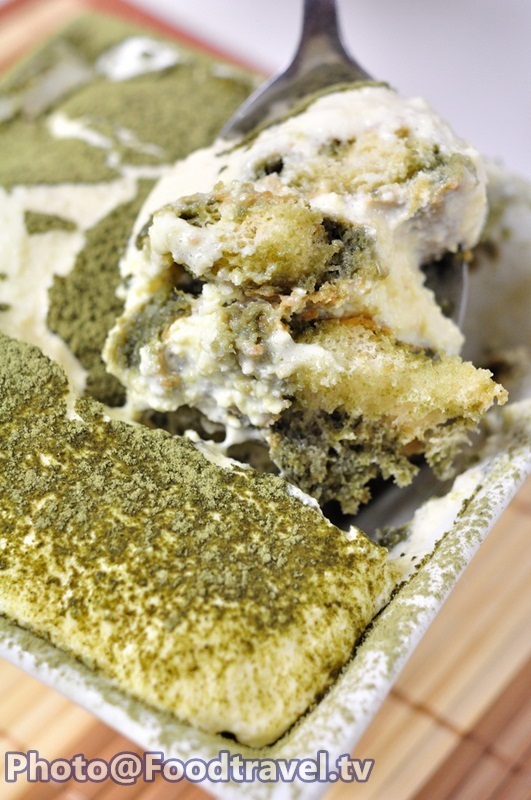 Sprinkle with green tea powder. 12. Freeze and ready to serve.